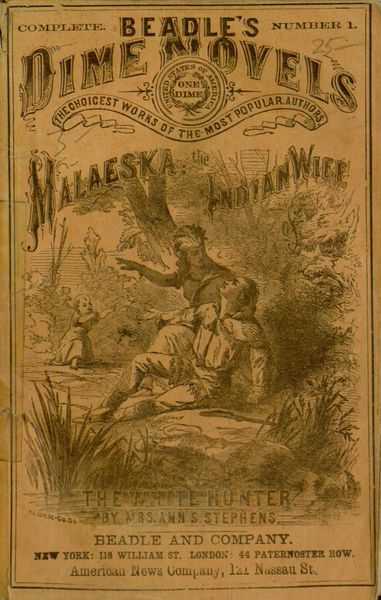 "Dime novels" are generally considered to be quickly written and mass produced to meet the casual reading interests of average people. They're not expected to be great literature, nor a significant investment for the writer, publisher, or reader. This is not a bad thing, it's just one part of the book market being efficiently served. I originally started reading Malaeska in calibre on my PC, but it's not an optimal reading environment and I didn't get far. I recently received my first e-ink e-reader, a Kobo Glo HD, and decided to see how easy it will be to grab books from sites like Project Gutenberg. I picked up a fresh copy of Malaeska as an ePUB and it opened right up, a fairly slick process. Now that I have a more comfortable way to read it, I'm making progress and may be done by the end of the month.